Based on the 2013 film written by a trio of Oscar® winners, Frozen features music and lyrics by the creators of the film score Kristen Anderson-Lopez (Up Here, Winnie the Pooh, In Transit) and EGOT-winner Robert Lopez (Avenue Q, The Book of Mormon, Up Here) and a book by Jennifer Lee (Zootopia, Wreck-It Ralph), the film’s screenwriter and director (with Chris Buck). Frozen won 2014 Oscars for Best Song (“Let It Go”) and Best Animated Feature. Frozen’s director is Michael Grandage, a Tony Award® winner (Red) and director of three Olivier Award-winning Outstanding Musicals (Merrily We Roll Along, Grand Hotel and Guys and Dolls), and Rob Ashford, Tony Award winner (Thoroughly Modern Millie) and multiple Tony and Olivier Award nominee, is choreographer. 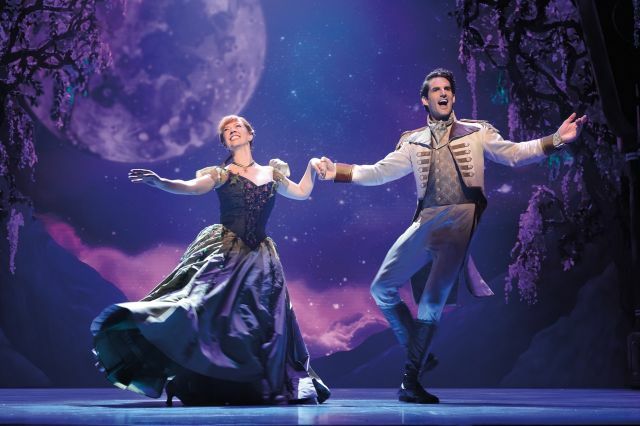 Frozen opened on Broadway on March 22, 2018 and has set and broken four St.James Theatre house records, placing in the top 10 best-selling shows every week. 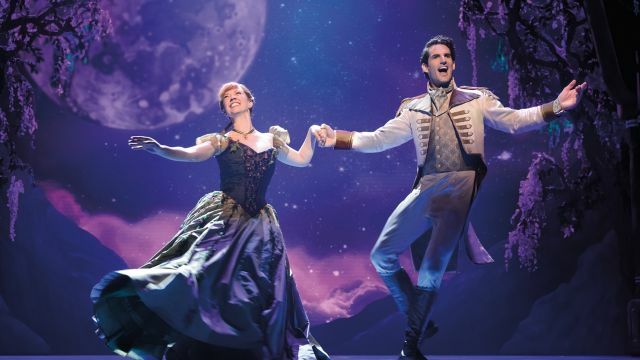 Frozen, a full-length stage work told in two acts, is the first and only incarnation of the tale that expands upon and deepens its plot and themes through new songs and story material from the film’s creators; in fact, this new stage production features more than twice as much music as the film. Like the Disney Theatrical Broadway musicals that have come before it, it is a full evening of theatre running over two hours. The design team for Frozen includes scenic and costume design by two-time Tony and Olivier Award winner Christopher Oram (Wolf Hall Parts 1 & 2, The Cripple of Inishmaan, Evita), lighting design by six-time Tony Award winner Natasha Katz (Aladdin; Hello Dolly! ; An American in Paris), sound design by four-time Tony nominee Peter Hylenski (The Scottsboro Boys, Motown, After Midnight), video design by Tony winner Finn Ross (The Curious Incident of the Dog in the Night-Time), puppet design by Michael Curry (The Lion King, Spamalot), hair design by David Brian Brown (War Paint, She Loves Me), makeup design by Anne Ford-Coates (On Your Feet! ; On the Twentieth Century) and special effects design by Jeremy Chernick (Aladdin, Harry Potter and the Cursed Child). Two-time Tony Award winner Stephen Oremus (Avenue Q, Wicked, The Book of Mormon) is music supervisor and creates vocal, incidental and dance arrangements. He is joined on the music team by Tony nominee Dave Metzger (orchestrations), Chris Montan (executive music producer), David Chase (additional dance arrangements) and Brian Usifer (music director).